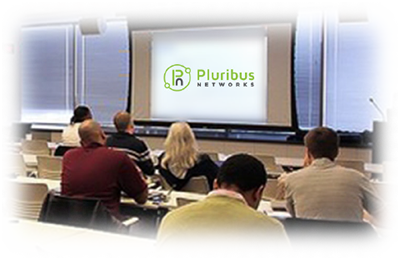 Pluribus Networks offers a full range of training courses that enable network professionals to efficiently gain advanced knowledge and quickly ramp on Pluribus Networks next-generation SDN networking technologies. Our courses are designed to deliver deep understanding of the Netvisor OS technology and the Adaptive Cloud Fabric architecture principles. Courses span from basic architectural discussions, to best practices with hands-on labs for configuring, operating provisioning and maintaining a Netvisor-powered network.